Movie memorabilia specialists Prop Store are set to host their first-ever auction of vintage toys and collectibles in Los Angeles later this month. 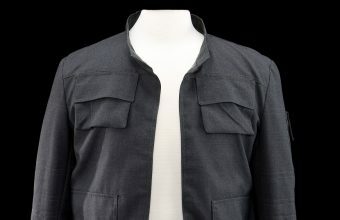 The two-day live auction, which takes place in California on February 29 – March 1, will include rare toys, collectibles, posters and ephemera from hit franchises including Star Wars, Indiana Jones, Batman, Marvel, Star Trek and Lord of the Rings. 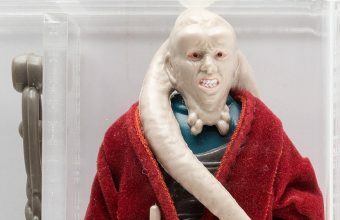 It will also offer toys from the collection of Howard Kazanjian, Producer of Star Wars: Return of the Jedi and the former VP of Production for Lucasfilm, including rare and unique pieces spanning 40 years in the industry. “Toy collecting is one of the largest segments of pop culture memorabilia collecting, and we’re excited to step into the space with a superbly-curated collection of content,” said Brandon Alinger, Prop Store COO. 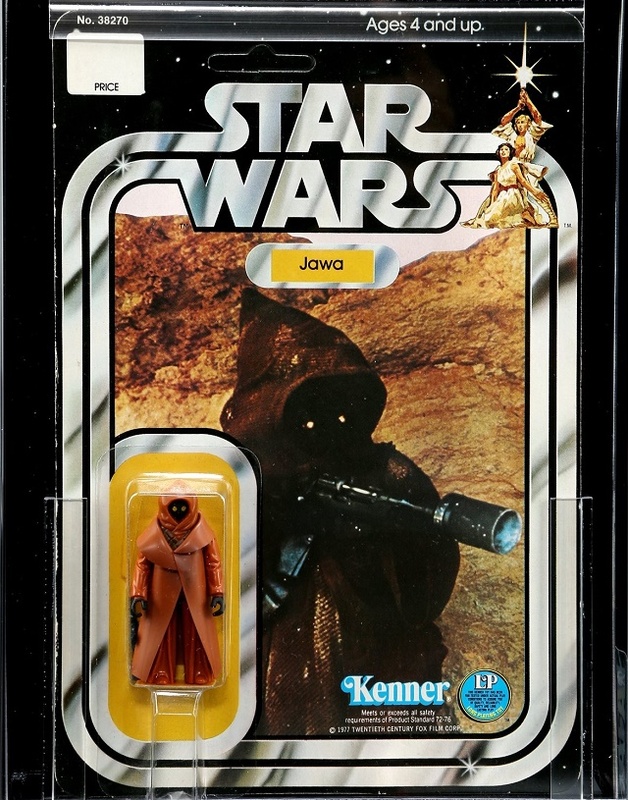 Leading the sale will be a selection of rare, unopened Star Wars action figures, which remain amongst the most sought-after and valuable pieces in the hobby. 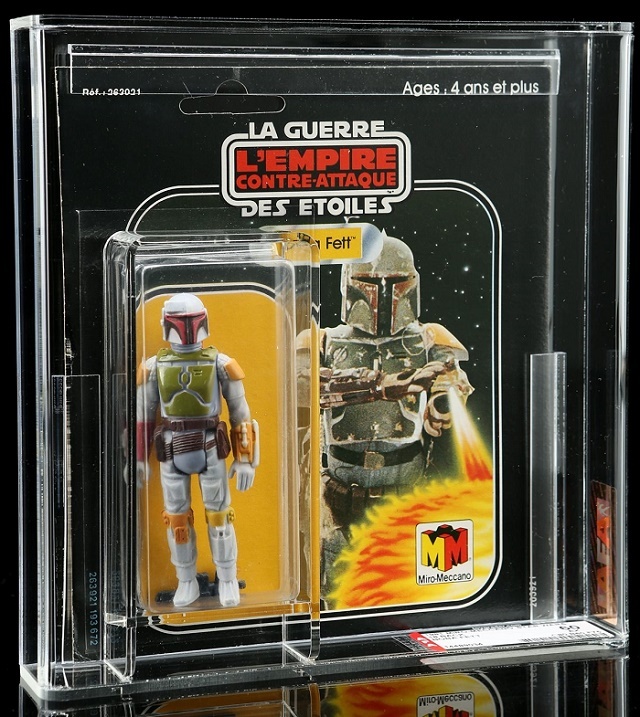 Top lots include a 1980 French Boba Fett figure produced by Meccano, estimated at $25,000 – $30,000; a 1978 Kenner Yak Face figure produced by Kenner, estimated at $8,000 – $10,000; and a 1978 Kenner ‘first release’ Jawa figure with a rare vinyl cape estimated at $12,000 – $16,000. One of the rarest lots on offer is an unopened Star Wars ‘Early Bird’ kit from Kenner, featuring the first Star Wars action figures ever made. 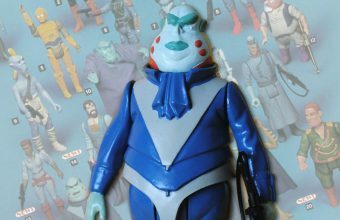 Toy manufacturer Kenner won the contract to produce Star Wars toys in 1977, before it was released, but the film’s success caught everyone by surprise. Realizing it was too late to release a line of toys in time for Christmas, they instead created the ‘early bird’ gift box, which was essentially an I.O.U certificate kids could send off to receive the figures when they were finally ready. 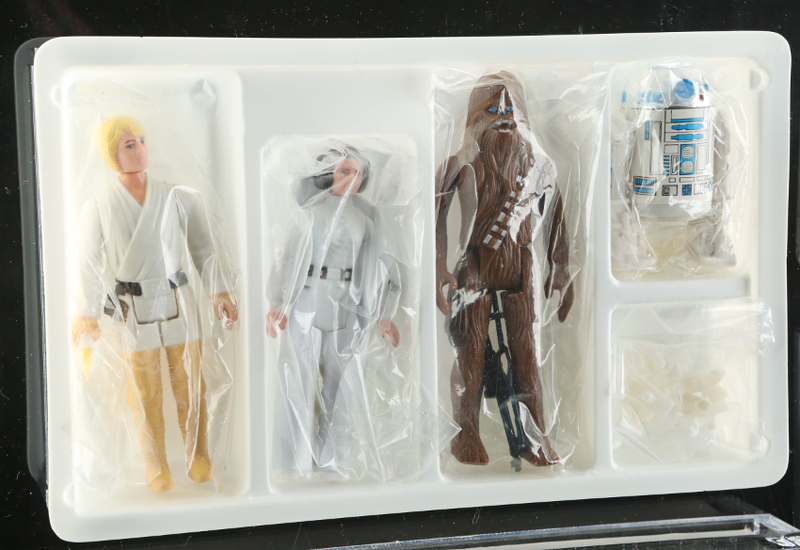 The early bird sets contained Luke Skywalker, Princess Leia, Chewbacca and R2-D2, each sealed in a bag and stored in a plastic tray. As kids had been made to wait for these figures, it’s highly rare to find a set that remained unopened for over 40 years! What makes this set even more special for collectors is that the Luke Skywalker figure included a rare ‘double-telescoping’ lightsaber – a feature that was quickly dropped as it proved too expensive to produce. 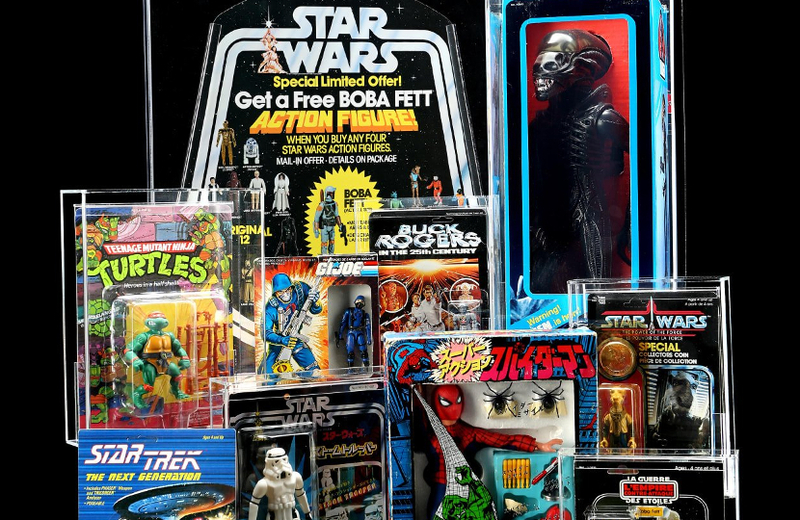 Away from Star Wars, the sale will include rare toys, prototypes and original artwork from lines such as G.I Joe, Teenage Mutant Ninja Turtles, Hotwheels and Rambo. The most valuable prototype is an original wax sculpture produced by toy makers LJN for their 1984 line of Indiana Jones toys. The company only released three figures based on Indiana Jones and the Temple of Doom: Indy, a Thuggee Cult henchman, and Mola Ram, the sinister heart-snatching high priest. This unique green wax sculpture was used to create the final version of the Mola Ram figure, and is expected to sell for $18,000 – $20,000. 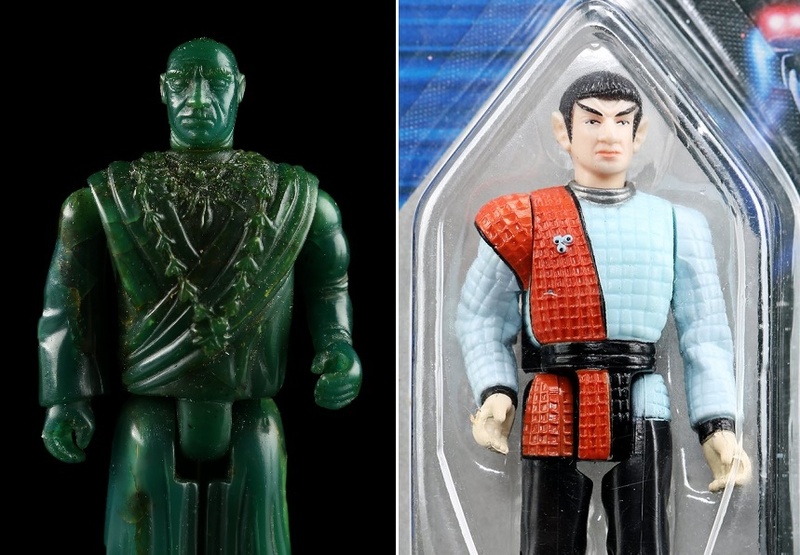 Further notable unreleased figures will include a 1994 Metal Mutant Rocksteady prototype from the Teenage Mutant Ninja Turtles line, estimated at $3,000 – $5,000; and a Star Trek: TNG prototype depicting Captain Jean-Luc Picard as a Romulan, estimated at $1,200 – $1,800.